Ubongo is a fast-paced, addictive, and easy-to-learn geometric puzzle game. Players race to piece together interlocking tiles so they fit perfectly on their puzzle boards. 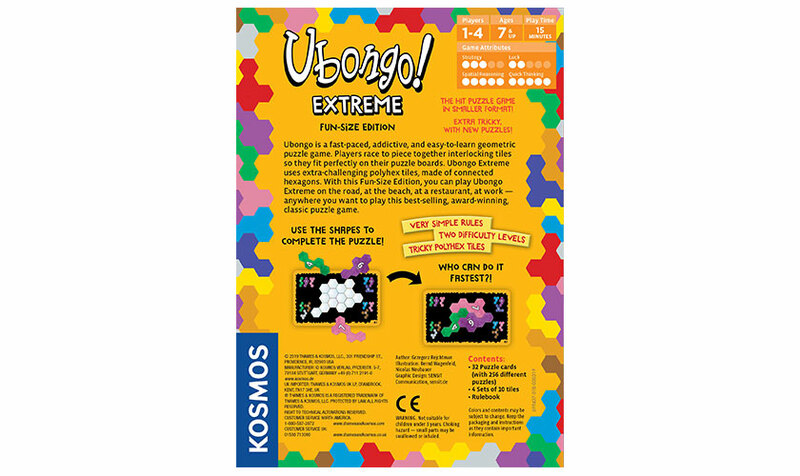 The Fun-Size Edition of Ubongo has the fun of the original game in a lower-priced, more-portable format. Now you can play Ubongo on the road, at the beach, at a restaurant, at work — anywhere you want to play this best-selling, award-winning, classic puzzle game. 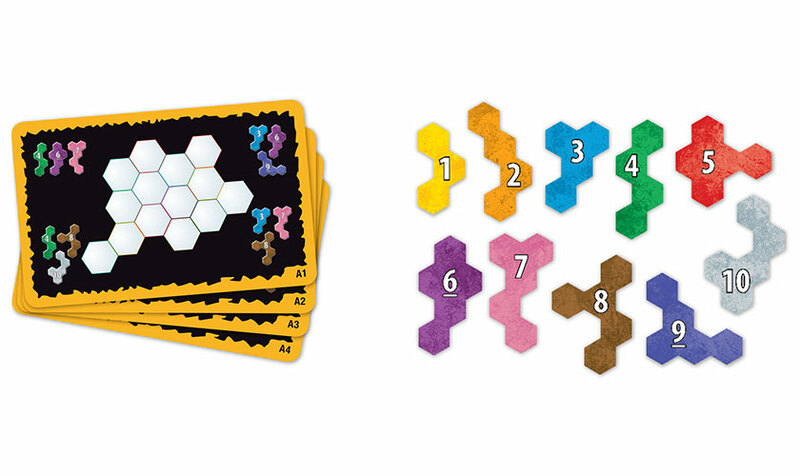 Here’s how it works: Each player receives a set of ten tiles. The tiles are polyhexes — geometric shapes formed of equal-size hexagons joined edge to edge in different arrangements. At the start of each round, each player gets a new puzzle board. Each player must perfectly fill the blank space on the puzzle board with tiles. 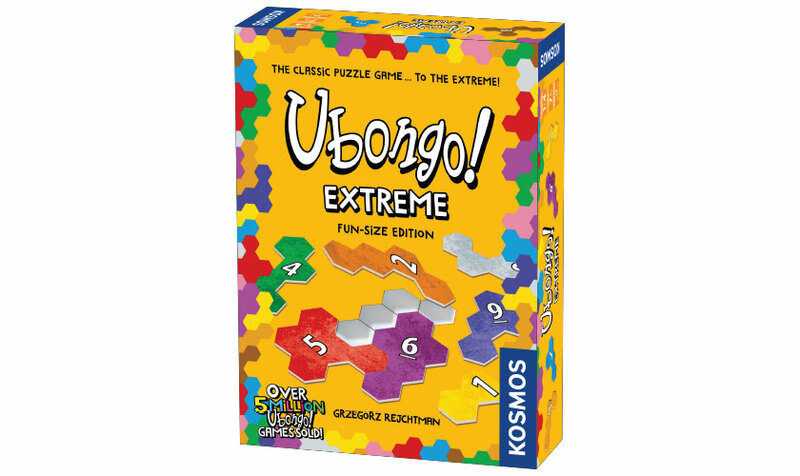 Once the first player has solved the puzzle, the player shouts “Ubongo!” and the countdown is on: The other players must solve the puzzle within the time limit, or they will not earn any points. All players who solve the puzzle get a point, and the fastest player also gets bonus points. After eight rounds, the player with the most points wins.